Although relatively unknown, Tickford was a well-known company in the automotive world. And the Tickford Capri Turbo would probably be its crowning achievement. Although before getting into the model, let’s review it throughout history. The origin of Tickford is around 1820, when it established itself as a horse carriage builder. At the end of the century, with the appearance of the combustion engine began to prosper as a car manufacturer. Its specialty was the production of bodyworks and in the 1930s they worked for a good number of brands. In 1955, Tickford was acquired by David Brown, who a few years before had Aston Martin and Lagonda. In fact, the production of British cars moved to Tickford Street, in Newport Pagnell (United Kingdom), the mythical facilities to which they are currently returning. Later, in the decade of the 80, Tickford would be relegated as an engineering services subsidiary and moved to Milton Keynes. It was at that time when they were awarded the job of making a Ford Capri more sporty and capable. We used the third generation of this coupe model that had already separated its paths from those of the Ford Mustang. 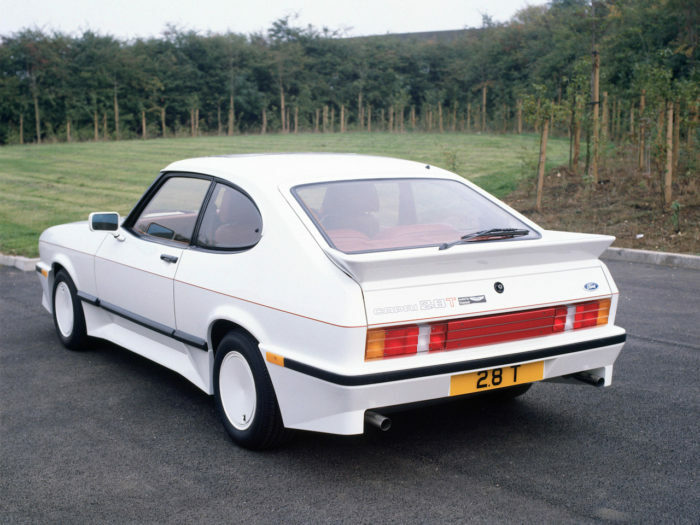 Although the production of the model took place in Germany, the Tickford Capri Turbo was assembled in England. There, a dismantling and subsequent assembly was carried out in a totally traditional way. For the exterior a wider and angled body kit was installed, which distinguishes it perfectly from the original model. The car tires that assembled some units attracted attention. Even so, the aerodynamics was losing and its coefficient went from 0.36 to 0.37 cx. On the grid of the first units was the Ford oval logo, but some also came with the winged logo of Tickford, much like Aston Martin. In the interior also a good number of modifications were made. 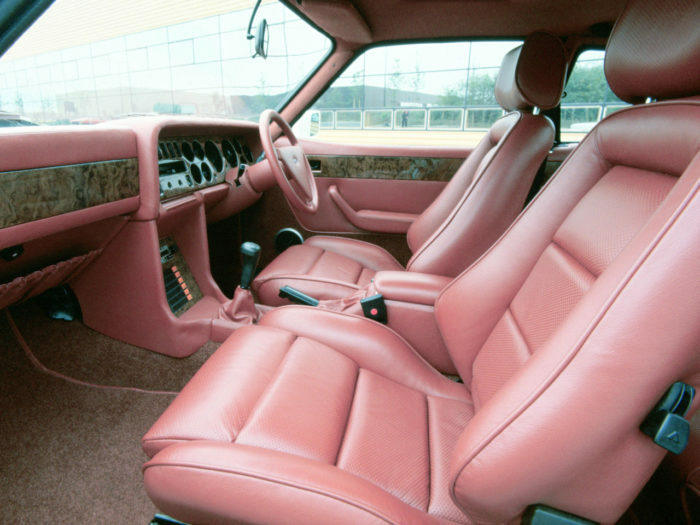 You could add leather upholstery and wooden moldings to improve the quality. Although the biggest changes that were made in the Tickford Capri Turbo are not visible to the naked eye, the model of series mounted a motor V6 Cologne of 2.8 liters, to which some changes were made like the IHI turbocharger. Thanks to this, the power was increased to 205 HP. The Tickford Capri Turbo was able to accelerate from 0 to 100 km / h in 6.7 seconds and reached a top speed of 220 km / h. The behavior also improved thanks to the rear disc brakes or modifications to the suspension. The changes with respect to the Capri series entailed about 200 hours of work for each copy. That is why of the planned production of 250 units, it was reduced to 100 units and only about 85 were completed (the other 15 did not convert even though they had a Tickford chassis number). The demand initially did not respond too well to the project. It must be said that the Ford Sierra 500 RS Cosworth, also made by Tickford, was faster and more affordable. Despite this, the Tickford Capri Turbo is still a unicorn valued enough today.